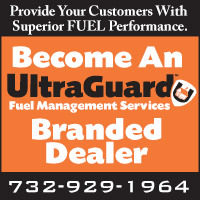 Your customers should know that you provide superior fuel, enhanced with UltraGuard - and we make it easy! Simply contact us to order your FREE marketing tools — brochures, truck decals and tank labels — and set your company apart. UltraGuard Brochure: This two-panel brochure is printed to fit in with your customer mail or to hand out on deliveries, service calls or at home shows. It briefly explains the benefits of UltraGuard treated Oilheat ... and you! UltraGuard Truck Decals: A three-foot wide decal to promote your superior product every time your trucks are on the road! UltraGuard Tank Label: Make sure your customers know what's in their tank, with a label describing the premium treated fuel you deliver. NEW! UltraGuard 8oz. Bottle Literature: UltraGuard is now upgraded to meet the needs of Ultra-Low Heating Oil including Bioheat® blends. Click here to learn more. 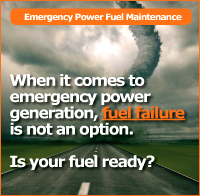 Please call us at 732-929-1964 to request your tools today!